Your opinion is so important for me! Do you dream of another fancy feature which would spice up your work routine? Even if you have found a bug, don't hesitate to drop me a line. I will do my best to implement your feedback and improve this tool. I am able to read/answer in German/English. Hi! 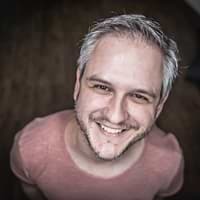 I’m Christoph, working as a programmer/developer for the MINISTRY Group in Hamburg/Germany. Since I was building an advertising tool, I had to learn a lot about image file formats and compression. This tool is some kind of a by-product and turned out to be my sweet little baby. So have fun using it! I hope it will help you as much as it does for me.